Knowing what Radford did to Georgetown on Saturday, VCU exploded at the end of the second half and continued to pour it on in the second en route to a 92-74 win in the 2K Classic benefiting Wounded Warrior Project. With the score tied at 30 with 9:24 to go in the first half, VCU closed the half with a 13-2 run that gave the Rams a 43-32 lead at intermission. 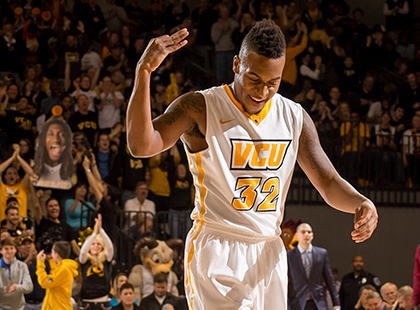 The start of the second half was much like the end of the first with VCU increasing its lead to as many as 24 points. Melvin Johnson led all scorers with 24 points, which included six three-pointers. JeQuan Lewis had 13 points and eight rebounds and Michael Gilmore netted 12 points. Radford was paced by Rashun Davis and his 18 points and 10 assists. Cameron Jones had 12 points and Christian Lutete added 11 points.